Your correct with the tunnel, but not correct with the location. So you are all narrowing it down further, not Scotland, and not in Wales. Here is the full image, there is a clue in the photo that will could help narrow down the location a bit further. But i guess you would need to be a little bit of a railway geek to spot it! Well, it appears to be dual gauge lines in both direction, so it will have to be on a main line, where trains of standard and non-standard (narrow) gauge were able to travel. Unfortunately I haven't come up with a search word to cover all that. Dual gauge tunnel England came up with a lot of model railway stuff. You are misinterpreting what you can see Ombugge. 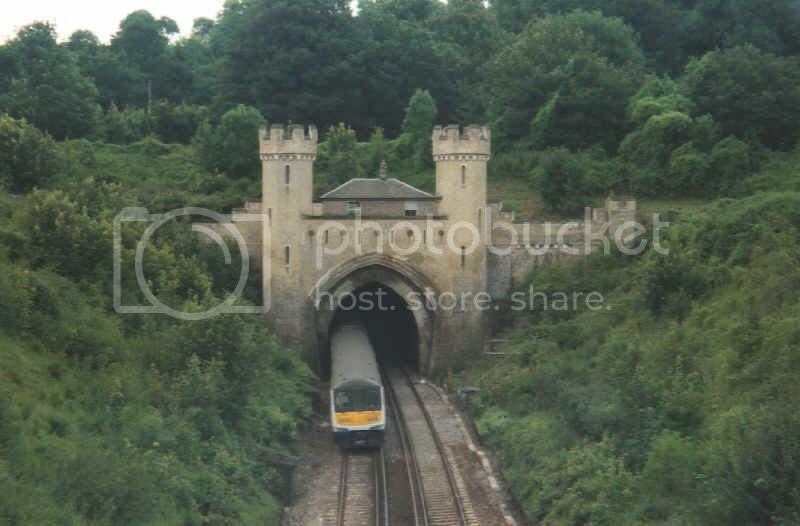 Both the photo and your comments imply that it is a real railway tunnel, but is the structure itself a folly? Seems to be a garden just behind, sort of lawn with a bit of trimmed hedge. I believe that the third rail supplies electric current to the trains. Could it be in the outskirts of London ? The small building you see in the middle is inhabited, but you are correct about the rest of the structure Ivy, it is a fine example of a typical Victorian grand facade. Well spotted Nichu, the third rails do indeed supply the electric current to the trains, 750 DC to be precise, so not a wise idea to step on it! You have also used that information to narrow down the location, you are indeed in the correct part of the country - south east, but a little further out from London than the outskirts. 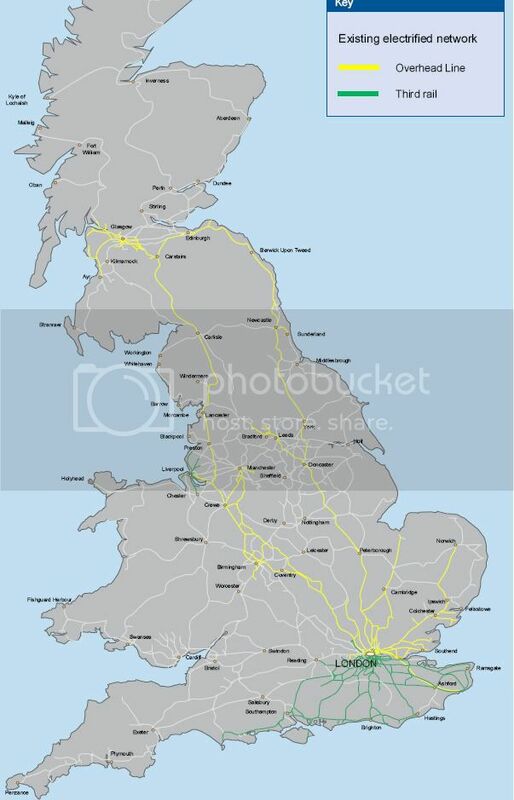 From the map below you can see that the South East of England accounts for 95% of all third rail electrification in the country. Thus my earlier hint, "there is a clue in the photo that will could help narrow down the location a bit further". So we now know that the structure is located in the South East of England somewhere. Another clue for you all, Why did they build such a grand facade for this tunnel in-particular? 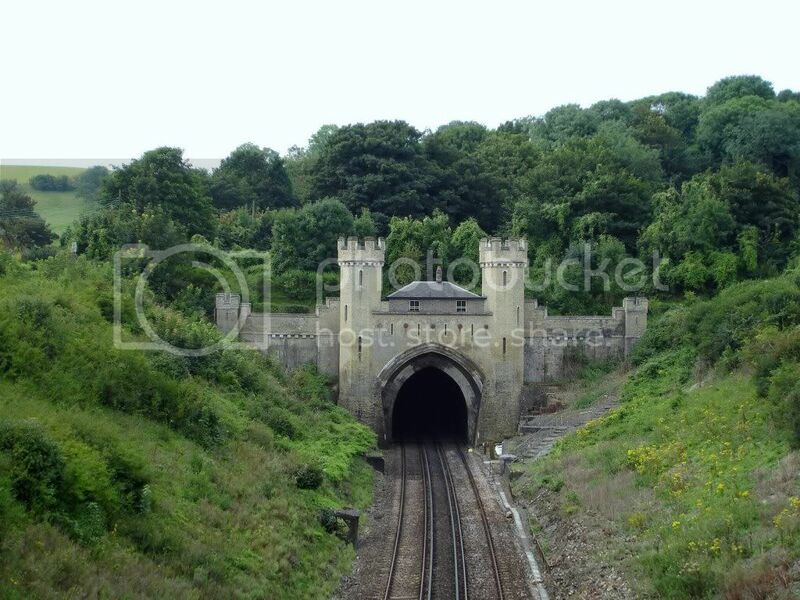 It's not the only tunnel on the line, so why go to the lengths of building such a grand portal? Based on the map, it must be somewhere south of London. Have no idea why this great portal was built. Unless it is related to an accident in 1861. This tunnel was built in the 1840's, and the facade was also built at that time, so no, the reason for the grand facade does not relate to an accident in 1861. But i do think you know the name of this tunnel Nichu, if so, it's time to tell! Last edited by Steve.B; July 13th, 2010, 02:06. I think this is the South Eastern Main Line, which has a third track for power supply. That means either Abbotscliff Tunnel or Martello Tunnel, I believe, although I haven't been able to find any matching photo. It is close to my Father-in-Law's birthplace. Last edited by ombugge; April 16th, 2011, 16:06. 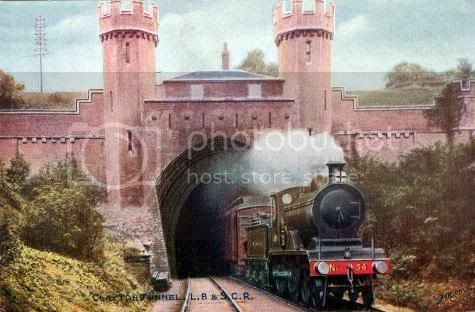 An old Clayton Tunnel Postcard. Yes, Clayton Tunnel it is, and your location is spot on Ombugge. Situated about 6 miles outside of Brighton on the London to Brighton mainline. Clayton Tunnel, at 1.25 miles in length, it is the longest Tunnel on the line. When the Tunnel was built back in the 1840's, the farmer that owned the land would not grant access to the tunnel unless an edifice was built at the entrance, so the railway company were forced to build the grand facade that you see today. The small cottage above the Tunnel was originally used to house railway workers, but these days it is privately owned. Nichu came very close to identifying the Tunnel when he mentioned a crash that occurred in 1861. Though that crash occurred at the other end of the Tunnel, the southern portal, which is just a plain standard brick affair. The Clayton Tunnel rail crash, which took place in 1861, five miles from Brighton on the south coast of England, United Kingdom, was the worst accident to occur up to that time on the British railway system. An excursion train crashed into another which had stopped in the tunnel, on Sunday 25 August 1861, killing 23 and injuring 176 passengers. So over to you again Ombugge! OK, my turn to come up with a challenge again. It is getting harder to find any own photos that would challenge the consummate puzzle solvers on this forum, but here is one that MAY do the trick. Not my own photo though. Last edited by ombugge; April 16th, 2011, 16:07. 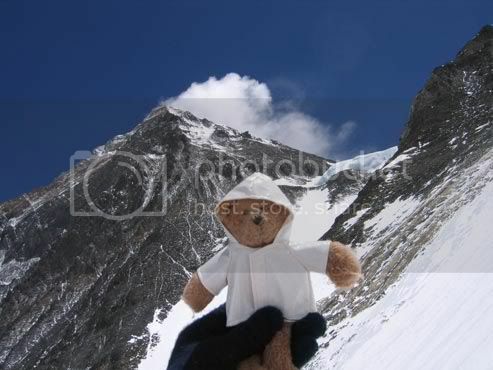 What on earth was Lookchin doing up there when he was so young?? Sorry, slightly 'OT', but i was a little surprised to discover that Lookchin was out on such an adventure at that young age! Are we in Canada with this one? Definitely NOT Canada, this place is in Indonesia! 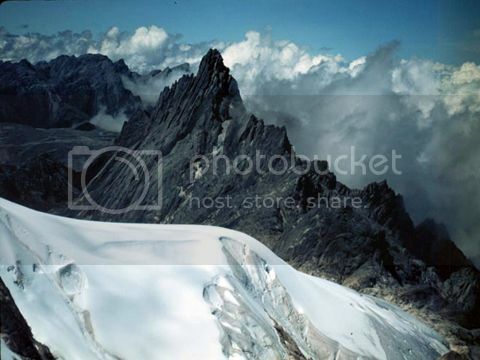 I have not narrowed it right down yet, but i believe this is somewhere around the Jaya Peaks. Shall endeavor to nail it completely!